The Wouter Website and Services are not intended for general use, and are not directed to children under the age of 18. No one under age 18 is allowed to sign up to use the Service. We collect the following types of information about our Users: Personally Identifiable Information and Non-Personally Identifiable Information. Personally Identifiable Information is information that identifies a specific User. When you engage in certain activities on the Website, such as creating an account for the Service from us, purchasing products, sending us emails or other communications, requesting information about our Service, our billing or otherwise, (collectively, “Identification Activities”), we receive and collect the information provided. If you elect to engage in an Identification Activity, we ask you to provide us with certain personal information about yourself, such as your first and last name, mailing address (including zip code), email address, and telephone number. When you purchase products or order the Service, we also ask you to provide us with your credit card number or information on other payment methods, expiration date and authentication codes or related information. Depending on the activity, some of the information we ask you to provide is identified as mandatory and some may be identified as voluntary. If you do not provide the mandatory information for a particular activity that requires it, you will not be permitted to engage in that activity. We use Personally Identifiable Information to provide products and the Service to you, administer those products and the Service, obtain payment for the products and Services, enhance the operation of the Website, improve our marketing and promotional efforts, analyze Website and Service use, and to improve our product and service offerings. We may also use Personally Identifiable Information to troubleshoot products, the Service, resolve disputes, accomplish administrative tasks, contact you, respond to your requests, enforce our agreements with you, comply with applicable law, and cooperate with law enforcement activities. We may also provide this information to Third Party Service Providers who are assisting us with any of these activities. Additionally, our Service entails the collection and retention of certain information concerning activities on the Internet and on your network, device information, and other similar information through the Hardware. It allows the subscriber to monitor network and Internet usage through various hardware devices, but does not retain user name, address, or email in such collected information. We collect and store such information concerning network and Internet usage and device information in anonymous format, using data such as the subscriber zip code to aggregate the data. We use Non-Personally Identifiable Information for troubleshooting activities, to administer the Website and Service, analyze trends, gather and analyze demographic information for our self or for others, develop new products or features, comply with applicable law, and cooperate with law enforcement activities. We may also share this information with our Third Party Service Providers and others to measure the overall effectiveness of online content, programming, services and other similar uses. We may use Third Party Service Providers to track and analyze Non-Personally Identifiable usage and volume statistical information from our users to administer our products and Service and improve their quality. Please note that this is not Personally Identifiable Information, only general summaries of the activities of our Users. Such data is collected on our behalf, and is owned and used by us, and is aggregated using zip code information. We reserve the right to provide such data in an aggregated fashion to others. We may also provide aggregate statistics about our customers, sales, online traffic patterns, and related information to reputable third parties, but these statistics will not include any Personally Identifiable Information. We believe that you should have the ability to access and update the Personally Identifiable Information you provide us. 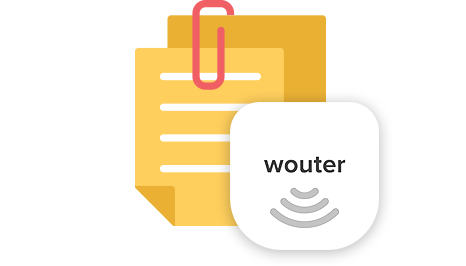 You may change any of your Personally Identifiable Information associated with your subscription to our Service by logging into your account in Wouter App and making the changes. We encourage you to promptly update your Personally Identifiable Information if it changes, and under the terms of the Service you are required to keep such information up to date. You may ask to have such information on your account deleted or removed; however, because we keep track of past transactions, you cannot delete information associated with past transactions with us. In addition, it may be impracticable for us to completely delete all of your Personally Identifiable Information because we periodically backup information. As a condition of purchase of our products and Service, we may send you administrative emails or other notices. You cannot opt-out of Administrative Notices. “Administrative Notices” relate to a User’s activity on the Website and the services, and include emails and notices regarding a particular User’s account, requests or inquiries, and purchases of products and services. The Personally Identifiable Information we collect from you when you subscribe to our Service resides on a server and we have put in place procedures intended to safeguard that information. Like most web site operators, we track IP addresses, use session, persistent, and flash cookies or any other successor tracker technology, and assign Internet tags. Our system and Hardware also automatically gathers information about the areas you visit on the Website and collects operational information about the technology you use, such as your browser, type of computer, operating systems, Internet service providers, and the domain name of the web site from which you linked to the Website.